What is the “Abomination of Desolation”? Internal Vatican sources have also confirmed that John Paul II actually died on April 1, not April 2; but that John Paul II’s death on April 1 “could not be announced because considerable work had to be done to make the body (the face in particular) presentable due to the agony” of John Paul II’s “final sufferings.” (Remnant report.) This is more striking confirmation of the amazing parallels between the four false High Priests of the Machabees and the four Vatican II Antipopes. Recently [in 1999], a Biblical Scholar visited Most Holy Family Monastery. He shared with us some of the insights and discoveries that he has made over the past 30 years. This article is a collection of what is, in our opinion, some of his most interesting information. Much of what is contained in this article is the fruit of his over 30 years of study. However, out of respect for his request, he will remain anonymous. In the New Testament Our Lord Jesus, in response to the very explicit question “Tell us, when shall these things be? and what shall be the sign of thy coming, and of the end of the world?” (Matt. 24:3), gives very explicit answers, contained in what are referred to as the eschatological discourses. Now we hold that some of the forms of our sacraments were given by Christ to the apostles generally, and others “in specie.” In the same way, it is possible that the signs Jesus enumerates are “general,” but it is also possible that one or more of the “signs” are absolutely “specific” in nature. One of the signs is in Matt 24:15, with the parallel passage in Mark 13:14, “When you therefore shall see the abomination of desolation, which was spoken of by Daniel the prophet, standing in the holy place: he that readeth, let him understand” is deserving of extreme scrutiny. 1. Christ is confirming and certifying Daniel as an authentic prophet. 4. Unless we take Our Lord’s statement as unnecessary, the abomination of desolation is a defined thing; otherwise you would have Jesus telling us to look for something that we can’t find. Therefore, what precisely we are to look for, the “abomination of desolation,” must absolutely be knowable, or if it were not, the statement would minimally be unnecessary. And that can’t be the case. In the divine economy, God would not possibly tell us to watch or look for something that we can’t find. 5. The nativity stories of Matthew and Luke each relate facts and events that are not in evidence in the others Gospel. In the same way it would be a mistake to take Christ’s statement “spoken of by Daniel the prophet” as a limiting one; i.e., that the only statements in Sacred Scripture relating to or permitting us to identify the “abomination of desolation” are contained in Daniel. 6. It is known that the term “abomination of desolation” appears in 1 and 2 Machabees, which are in the Catholic Bible. 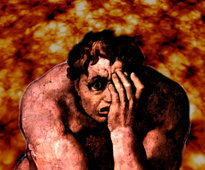 It is known, and has always been held by the Fathers, that Daniel who was carried away in the deportations that preceded Jerusalem’s fall to the Babylonians c. 585 B.C., prophesied the “abomination of desolation” that occurred during the apostasy of the Jews and their hierarchy that began in reality with the ascension to the throne of Antiochus IV Epiphanes in 175 B.C., and which is recorded in the books of the Machabees. While the command of Christ to read Daniel is explicit, I would state that in light of the foregoing it is implicit that Christ is admonishing us to read the Machabees for the selfsame reasons we are told to read Daniel. 7. It is inescapable from the previous statement that Christ is telling us that Daniel prophesied at least two time periods that would contain the “abomination of desolation”: one at the time of the Machabees; and one in the very last days. I say at least two because there are those that argue that there was a third (by no means certain) at the time of the 1st Jewish revolt 66 A.D.- 73 A.D.; but that time is not reported in Sacred Scripture whereas the other, the Machabees, is recorded in Scripture. 8. The next statement relates to “he that readeth, let him understand” (Mark 13:12; Matt 24:15). What does Christ mean by this? 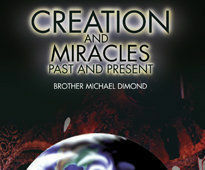 Christ is telling the reader to look for a hidden fulfillment or replication of the 1st time of the “abomination of desolation.” The end time “abomination” will not replicate exactly the prior one in every respect, but will so substantially resemble the first one as to be recognizable to those who are looking with eyes of FAITH. 9. The 1st “abomination of desolation” comes in a certain context described among other places in 1 and 2 Machabees; but it is also described by Josephus, whose works contain extensive material on the time of the Machabees. It would be a mistake to take Jesus’ statement to read Daniel (explicit), and Machabees (implicit) as limited to reading the material only for references to what the “abomination of desolation” is, rather than the entirety of events, persons, etc. that describe the context of the 1st abomination, in order to recognize the 2nd at the time of the end. 10. As to the “standing in the Holy Place” or the parallel passage in Mark, “standing where it ought not,” we will hold this for later. But I think the answer will be self evident. The “Abomination of Desolation” is an OBJECT: a 2nd altar ERECTED “upon” (1 Macc 1:57) and “over against” (1 Macc 1:62) the altar of God, in the Jewish temple, as an integral part of a false and idolatrous worship form introduced in substitution of the true sacrifice, at a general time of apostasy of Jewry from their received faith. 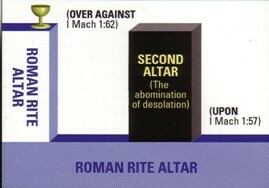 From the adjectives “UPON” and “OVER AGAINST” that are used to describe the placement of the idolatrous 2nd altar, in relation to the true altar, we can discern several things: the shape of the true altar could not simply be horizontal, i.e., a “slab” because then the 2nd altar would have simply been placed “UPON” the original. The words “OVER AGAINST” are the scriptural way of describing two objects being brought in proximity vertically to one another. Simply put, the “shape” of the 1st altar (the true altar) must have been such that the false altar could be said to be placed both “UPON” (horizontal) and “OVER AGAINST” (in proximity to, on a vertical basis) the original altar. See the picture below for an illustration. One possible example of the cross sectional shape of the true 1st altar would be a capital “L.” If one erected a free standing “TABLE” on the horizontal line of the capital “L” (the original altar) the table could correctly be said to be “UPON” the original altar and also “OVER AGAINST” the original altar, because the original altar has a “VERTICAL” aspect (the vertical line of the capital “L”) which the “TABLE’S” (second altar) vertical aspect is in proximity to. To carry the analogy a bit further, the typical cross-sectional pre-conciliar Roman Rite altar could be described as the original capital “L” of our example, with a few further modifications: the bottom horizontal line of the “L” is very long and we add to the top of the vertical line of the “L” a horizontal “CAP” or line. Why so? The horizontal “CAP” of the vertical line of the capital “L” is the area on which rests (rested) the tabernacle, and on which the priest offered the unbloody sacrifice, and the vertical line of the “L” is the leading vertical edge of that part of the “ALTAR.” But where does the long horizontal line of the capital “L” come from? In the Roman Rite, the “altar rail” separates the altar from the rest of the Church. When you step on the other side of the altar rail, you are literally on the altar. The “iconostasis” (icon screen separating altar from main body of church) in the Oriental rites of the Church is functionally performing exactly the same function in the “EAST” as the altar rail did in the “WEST,” that is, separating the altar from the rest of the Church. Further proof that the area between the altar rail and vertical leading edge of the “altar” is also the “altar”: when someone comes to the rectory inquiring over the whereabouts of Father “X”, some of us reply, “he’s on the altar”! Now is he standing on the horizontal plane on which the tabernacle rests? Obviously not. But nonetheless, we say “he’s on the altar” because he is in fact standing in the aforementioned area set apart by the altar rail. Now, if as part of a new cult and worship form you erect a “table” (read 2nd altar) between the vertical edge of the original altar and the altar rail, for the 1st and only time in Catholic history, you will have replicated the abomination of desolation in the Machabees; for the Table in the Novus Ordo is directly “upon” (1 Macc 1:57) the true Roman Rite altar because it sits on top of the horizontal plane of the altar, and “over against” (1 Macc 1:62) the true Roman Rite altar because the table stands in proximity to the vertical aspect of the altar. Returning to the Machabees: we are told that the time period of the persecution and apostasy began with the commencement of the reign of Antiochus “in the year 137” (1 Macc 1:11). We know from Babylonian archival material that Antiochus began to reign “in the sixth month” of the Seleucid year 137. The persecution period ended with the death of Simon, the last of five sons (the Machabees) of the priest of Modin, “in the 11th month of the year 177” (1 Macc 16:14). So the period of persecution lasted some 40 years and five months. It is worthy of note, I think, to mention at this point, that Christ in the eschatological discourse says: “This generation will not pass away…..” A biblical generation is known to be reckoned as being 40 years long. Anyone familiar with the existing material (which material is clearly pre-Christian) of the Essene sect of the Jews knows that the material speaks constantly of the last battle in the history of the world being 40 years long. I wonder what that could be? Whatever it is, it is now in our past. (Idolatry includes any worship of God that is inauthentic.) Of note is the fact that my “Catholic” Almanac reports that the “Apostolic Constitution” on the Novus Ordo Missae was signed by Paul VI on April 3, 1969 (which was Passover in that year) and that the Novus Ordo was made mandatory in its final form on December 1st, 1974. Now our current reckoning has a strange anomaly; there is no year -0-. We proceed directly and immediately from December 31st, 1 B.C. to January 1st, 1 A.D. This is to say that B.C. events are 1 year less removed from us than the sum total of the two integers. The majority opinion on the year of Christ’s birth is that it occurred 2 to 3 years prior to Herod the Great’s death. Herod’s death date is one of the most certain in all of antiquity, owing to Josephus who states that it took place in the 36th year of Herod’s reign, contemporaneously (at the same time) with a lunar eclipse visible from Jerusalem, which event was followed closely by a Passover. The date of that eclipse and Herod’s death is Tuesday March 13th 4 B.C. at about 1:28 A.M. (Julian Calendar). Further, the triple conjunction of Jupiter and Saturn in the constellation of Pisces in 7 B.C. is understood by the majority of the scholarly community to meet Matthew’s account of the “star” of Bethlehem. This would place the 1980th anniversary of the NATIVITY in our year 1974 A.D. Interesting….minimally for some of us who still have regard for private revelation. For those into detail, the evidence is that “Dennis the little” who is responsible for giving us our present year reckoning, intended to make year 1 of the Christian era the first full year following the year that saw the event of the Nativity of Christ. If the year 7 B.C. was the year that indeed contained the event of the Nativity, 6 B.C. would be the year that Dennis intended (although he didn’t accomplish it) to be year 1, and December 31st 1974 would be the end of the year of Christ 1980. 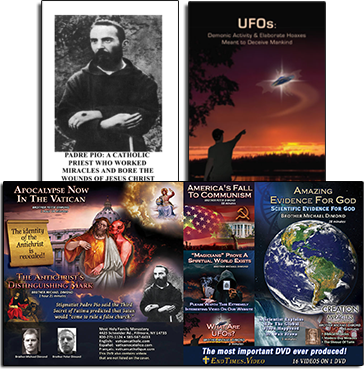 There are some versions of the aforementioned prophecy of Saint Bridget that start, “In the year of Christ 1980…” as though Saint Bridget were drawing a distinction between the true year 1980 and our year 1980, which are not the same. But, returning to the period of the Machabees, the Jews become tired of being set apart and desire to be like the pagans around them. While having religious liberty from their pagan overlords, they willingly forfeit that liberty and ask to be made a pagan city complete with idolatrous worship. We are talking about what is called religious syncretism. “Jews themselves were in the forefront of the syncretism.” “They changed their constitution which constituted an abandonment of their covenant with Yahweh.” “The Holy of Holies ceased being a CENTRAL part of Jewish worship.” The Holy of Holies, by the way, was known to be associated with the Divine presence, known as the Shekinah, which Divine presence was almost sacramental in nature. Similarly, our tabernacles, which contained the Divine presence in a sacramental manner, were, in the post-Vatican II period, removed from their central locations on our altars. In many cases they were moved to the side, and some were even placed in the sacristy. “At no time in Jewish history were women involved in Jewish liturgical practices except at the time of the ‘Abomination of Desolation’; and then they were all over the altar” (commentary on 2 Mac. 6:4). The renegade or apostate Jews fortified and occupied the City of David in Jerusalem which they made their citadel, or ACRA. “The City of David at the time of the Machabees was known to occupy THE LARGE WESTERN HILL.” Because this is a central point, I would refer the reader to confirm this for himself in either the Jerusalem or the New Jerusalem Bible, both of which contain footnotes on the city of David. The adjective “Large” for the western hill appears in the more extensive commentaries on the subject. “And on the wing of the Temple will be the disastrous abomination” (Dan. 9:27, Jerusalem Bible; also see the note on this verse in the Haydock Bible). Now, St. Hilary, doctor of the Church, discourses on 2 Thessalonians chapter 2 and the Antichrist. He states that the “Temple of God” (2 Thessalonians 2:4) is clearly the Church. But what about the “WING”? Could it be that the “Abomination of Desolation,” which will be seen in the Church, will only be in a portion of the Church, the “New Jerusalem”, and if so what portion? The word “WING” was used by the ancients in much the same way as we use it: the west WING of a hospital, for example. Only one scriptural citation is necessary to prove the point: “….and the right WING of his army with them” (1 Machabees 9:1). Now the renegade and apostate Jews made the City of David, which occupied the LARGE WESTERN HILL in Jerusalem, their Citadel. Isn’t it interesting that the New Mass, which has a table, a 2nd altar as an integral part of its worship, is only present in the Roman Rite, which is the large western portion (fully 98%) of Catholicism, as distinct from the Eastern or Oriental WING, which still uses its old sacramental forms, including the MASS, and no new 2nd altar! 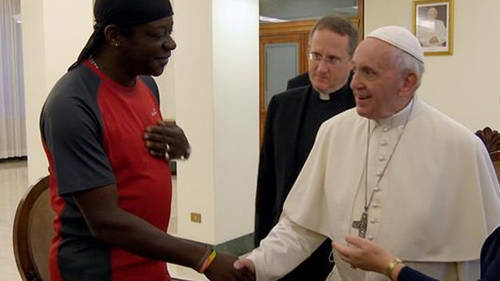 Four False High Priests, Four False Popes? Anyone who has read the book In God’s Name by David Yallop (on the death of John Paul I) knows that the entire book on the death of John Paul I is about the Vatican treasury. The author presents a compelling case that John Paul I, the third Vatican II Antipope, was killed precisely because he may have wanted to give away money from the Vatican treasury which caused a great problem for certain individuals. The parallel to Lysicmachus (the third false high priest at the time of the Abomination of Desolation in the Machabees) is startling. After Lysimachus’ death, Menelaus resumes his “priesthood,” but is ultimately slain (2 Macc 13:7). He is said to be a “sacrilegious wretch,” a “transgressor of the law” (2 Macc 13:6-7). “He had committed many sins against the Altar of God” (2 Macc 13:8). The last of these four false High Priests is Alcimus, who in some respects is the most dangerous of the lot because his act is the best. He obtains the appointment as reported in 2 Macc 14:3-4; but he had “willfully defiled himself in the time of the mingling with the heathens, seeing that there was no safety for him, nor access to the altar” (2 Macc 14:3). Bishop Challoner, who is famous for his scriptural notes, states that Alcimus, “for his apostasy here mentioned, was incapable of the High Priesthood….as Menelaus had been before him….yet neither of them was truly High Priest….mingling with heathens, that is, in their idolatrous worship” (2 Macc. 14:3, Douay-Rheims note). It is not my intention to write a commentary on the Machabees, but merely to point out certain parallels with our own age. The syncretism begins with the election of Angelo Roncalli, who takes the name John XXIII. He reports, after his election, and with sarcasm, that his file has been marked “suspected modernist,” as though this were a big joke. Pope Saint Pius X calls Modernism “The Synthesis of All Heresies.” In the magazine, 30 Days, several years ago, the head of the Italian Freemasons proclaimed that John XXIII was one of their number, an active member! The Grand Master of the Grand Orient of Italy stated: “As for that, it seems that John XXIII was initiated (into a Masonic Lodge) in Paris and participated in the work of the Istanbul Workshops.”  I have also seen a sworn affidavit of one of Cardinal Roncalli’s (John XXIII’s) French Government body guards, assigned to protect him during the years when he was in France in an official Vatican capacity. 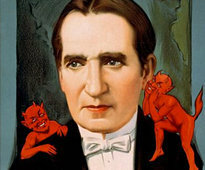 He swears that he escorted Roncalli to the Masonic Lodge with great frequency. Now I ask, how does someone who is outside the community (membership in Freemasonry is the subject of automatic major excommunication) HEAD THE COMMUNITY? This is a contradiction in terms. It may be mere coincidence, but just as Jason (1st false High Priest in the Machabees), nicknamed “King Johnny” (from commentary on Anchor Bible series) introduced the wearing of the broad brimmed hat, does anyone remember John XXIII and the “sombrero” hat he started wearing? In the same scriptural note (2 Macc. 14:3), Challoner explains how the true High Priesthood lay with the Machabees: “…the true high priesthood was amongst the Machabees, who were also of the stock of Aaron, and had strictly held their religion, and were ordained according to the rites commanded in the laws of Moses.” The Machabees held strictly to the traditional faith, and ordained men according to the Traditional Rite. Likewise, in our day, the true Priesthood exists in those who hold fast to the religion that has been delivered to them, and ordain and consecrate according to the Traditional Rite. Those who have retained the traditional rituals, but yet do not retain the traditional faith or are associated with the abominable Vatican II/New Order Church, do not possess the true faith. The New Mass is without question the Abomination of Desolation predicted by Our Lord as one of the primary signs of the end of the world. The whore of Babylon sits on seven hills. 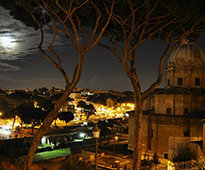 Every major exegete states that it is ROME, “the great city” of the Apocalypse. 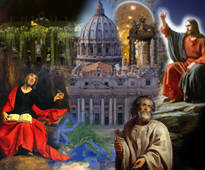 Saint Peter himself, writing in his first epistle, refers to Rome by its code name, Babylon. To the extent that Rome loses the faith, and hence by definition allies herself or indeed becomes the enemy of the true Church, it becomes guilty of the blood of the very prophets and saints of the true Church of all time. Just as Our Lord was placed in the hands of His enemies during His Passion, Our Lords allows the buildings and infrastructure of His Church to be placed in the hands of its enemies during its passion. On June 30, 1968, the Vatican II sect adopts a new ritual for ordaining priests, as well as a new manner of consecrating bishops, “The fullness of orders.” The new manner is essentially and materially an Anglican ritual, which ritual (the Anglican ritual) was declared by Pope Leo XIII, to not confect the Sacrament of Orders. I am reminded of the “Testimony of Moses” which contains the following line: “in the last days there will be slaves about my altar who are not true priests but slaves…..” We have seen the fruits of their fraudulent “Orders”: pedophiles, homosexuals, and lecherous men, among other things. Does prophecy give the exact date of the New Mass? Before we bring forward the evidence that the prophet Daniel does give the date of the New Mass, which is the Abomination of Desolation and the cessation of the continual sacrifice, we must answer an objection which will arise in regard to this matter. 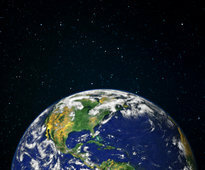 There are those who say that the true understanding of the tribulation’s duration is that it is 7 years (or 1/2 that), and that the cessation will occur in the “midst of the week” “the middle of the week” or the “half of the week” and last for 1260 days or 3 and 1/2 years. And since the New Mass was decreed on Passover April 3, 1969, by Paul VI in the Apostolic Constitution on the New Mass, it has been with us more than 30 years, and therefore, it couldn’t be the “cessation” of the Mass and the “abomination of desolation” (according to them). Is there evidence that the period of the cessation would last longer? Yes, the 1260 day references in the Apocalypse are understood by many exegetes as symbolic of any period of persecution, that is, they are not necessarily literal. Christ and the Mass are inextricably linked. And the prophet Daniel’s prophecy is bound up with the “going forth” of the word, as we will see. So we must ask: when is the “going forth” of the word in the New Testament? Christ’s commands at the Ascension are for the Apostles to begin first at Jerusalem, then Judea and Samaria, then the rest of the world. 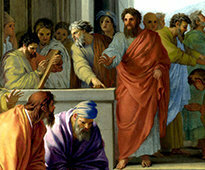 St. Paul is truly the apostle of the Gentiles. 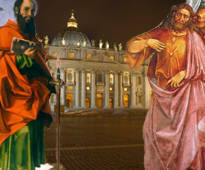 The “going forth” of the Faith out of Jerusalem and Judea starts in reality with St. Paul’s conversion. At the time of St. Stephen’s martyrdom, there is a general persecution and dispersal except for the Apostles who remain at Jerusalem. Why? It is because the “going forth” to the balance of the world awaits St. Paul’s conversion. But when does St. Paul’s ministry start? It could only start with the event of his conversion. Prior to that he has aligned himself with the enemy. The internal evidence of Acts and the Pauline epistles places the martyrdom of St. Stephen in the winter of 36/37 A.D – that is, between the winter solstice of 36 A.D. and the spring equinox of 37 A.D.
St. Paul is present at the death of St. Stephen, by his own admission he “held the coats” for those doing the stoning and he was “consenting” to the death of St. Stephen. Many theologians believe that St. Stephen’s martyrdom was the efficient cause of St. Paul’s conversion. His conversion is said (unanimously) to have occurred very shortly after the death of St. Stephen in 37 A.D.
Now the prophet Daniel speaks of the death or “cutting off” of the Messiah and the “cessation of the daily sacrifice” of the Mass, and his prophecies are all time oriented. In Daniel chapter 9 we have Daniel’s famous prophecy of “weeks.” In that prophecy, each day is generally (and has always been) understood to equal 1 year. The so-called “day for a year” principle. The seven weeks are not repeated the second time, but the time interval is clearly intended to be the sum of seven weeks plus sixty two weeks, i.e., 69 weeks until the “slaying” or, as some translations have it, the “cutting off” of the Messiah or the cutting off of the Mass. 69 weeks equal 483 days (69 x 7). Based on the day for a year principle, the 483 days or 69 weeks equal 483 years. The final piece of the puzzle is “fourfold”. In Jewish law, the perpetrator of the theft of a sheep must make restitution fourfold. So the penalty for theft is fourfold. Lastly, and most importantly, is the curse pronounced on the whore of Babylon. Double unto double is fourfold. The penalty for the theft of a Lamb, for fraud (a false sacrifice) is fourfold. Therefore: 4 (fourfold) x 483 years = 1932 years. 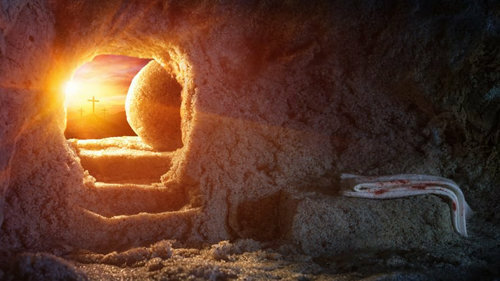 1932 years + 37 A.D. (St. Paul’s conversion and the “going forth” of Daniel 9) = 1969 A.D.
Christ was slain on a Passover. Therefore, the Mass would also be slain on a Passover. The date of the Apostolic Constitution of Paul VI for the New Mass was Passover April 3, 1969. The New Mass is the Abomination of Desolation – the Abomination of Desolation that was predicted by Daniel and mentioned by Our Lord (Matt. 24:15) as one of the signs of the end. In Campos, Brazil there exists a prominent “traditional” group of priests that was started many years ago by the late Bishop Castro De Mayer. The group goes by the name “The Society of St. John Vianney.” Bishop Castro De Mayer, who started the group, had been a friend of Bishop Marcel Lefebvre, and was present when Bishop Lefebvre consecrated the four Bishops of the Society of St. Pius X in 1988. The Campos group of priests held a position that is similar to the SSPX: it was independent of the Novus Ordo dioceses, even though it was definitely not Sedevacantist and always recognized Antipope John Paul II as the Pope. The Campos group remained independent of the Novus Ordo “Bishops,” even though it recognized them as the legitimate hierarchy, because it criticized as unacceptable many aspects of the New Mass and the Vatican II religion. In fact, years ago the Campos group published a pamphlet called “62 Reasons Why In Conscience, We Cannot Attend the New Mass.” Having discouraged people from attending the New Mass, the Campos group’s position was not compatible with approval by the apostate Novus Ordo Bishops. As long as they held to such a position, they would have to continue operating independently of John Paul II and the Novus Ordo Bishops. But, in 2002, the Society of St. John Vianney (SSJV) changed its views. 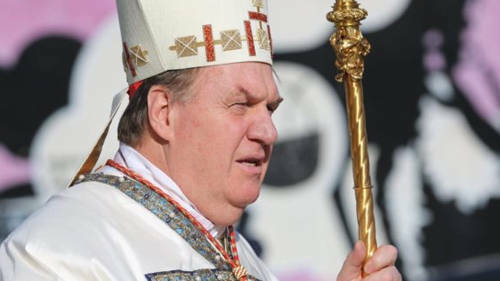 Perhaps perceiving the fundamental contradiction, and the schismatic attitude, in its position – and in the position of the SSPX – namely, to operate completely independent of the hierarchy it recognizes as the true Catholic hierarchy (when, in truth, it shouldn’t recognize them as the true hierarchy at all), the SSJV came to apostate Rome and John Paul II to be “reconciled.” Antipope John Paul II and his “Cardinals” agreed to give the SSJV an “Apostolic Administration” whereby they would be fully “reconciled” and “recognized” by John Paul II and the Novus Ordo sect, as long as the SSJV agreed to accept the validity of the New Mass and that Vatican II is a true Council – and, of course, that John Paul II is Pope. The full “reconciliation” of this “traditionalist” group with the Novus Ordo sect was praised by many false traditionalists who believed that this group would get the “best of both worlds” (according to them) – i.e., it would maintain its “traditionalism” while also being recognized by Antipope John Paul II, their “Pope.” The heretics Chris Ferrara and Thomas Woods expressed their approval of the development with the SSJV in their heretical book, The Great Façade. Please notice how inextricably bound up are 1) acceptance that John Paul II is the Pope and 2) the acceptance of Vatican II and the New Mass. If you accept # 1, then you must accept # 2, as this instance proves again. Vatican II is the official Council and teaching of the “Church” of John Paul II; and the New Mass is an official rite of the “Church” of John Paul II. That is why John Paul II and his apostate “Bishops” will not recognize those persons who don’t accept the legitimacy and validity of these two things as “Catholics in full communion” with them. That is precisely why the SSJV had to accept these things to get full “approval” from the Vatican II sect. So, in 2002, the SSJV completely sold its soul and gave in to apostate Rome. Though the SSJV did not yet celebrate the New Mass, some predicted that it would only be a short time before its priests did. (But after already having recognized that the New Mass is a legitimate rite that may be attended, why would they be opposed to offering it themselves?) The selling-of-their-souls out to the New Mass would not come in the future when they finally offered it; it already came when they accepted it as legitimate. Thus, on September 8, 2004, the apostate Bishop Rifan of the SSJV carried his heretical position to its logical conclusion and he concelebrated an invalid New Mass, which adulterated the words of Christ (using “shed for you and for all so that sins may be forgiven” in the Consecration) – and contained numerous other abominations, including laywomen giving out the Novus Ordo cookie; a speech by a Marxist; and other pagan-like abominations so common at the Novus Ordo. All of this is strikingly reminiscent of the story in the Machabees. In the books of the Machabees, we are told the story of how the wicked King Antiochus took over the children of Israel, imposed upon them a new religion of idolatry, changed their traditions, and forced them to accept the new religion. There are striking parallels to our own situation in this history, including in regard to compromising false traditionalists. Those who resisted the new religion were led by Judas Machabeus and his supporters; and they made no compromise with the wicked usurpers. But some of the Machabees were led to their deaths by being deceived by the “peaceable” words spoken by the supporters of King Antiochus. Please read the following and tell me if it is not a description of the SSJV and the SSPX and like-minded false traditionalists, who listen to the “peaceable words and deals” offered to them by the apostate “Bishops” in Rome, such as Ratzinger, Castrillon-Hoyos, etc. – and are led to their spiritual deaths as a result. We see that Bishop Rifan of the SSJV is one such victim. But here are the words of a recent interview of Bishop Fellay of the SSPX, regarding his continuing discussion with “reconciling” with Rome [read: King Antiochus]. Recently, many among the Sedevacantists (i.e., those who don’t accept John Paul II as the Pope) are being convinced by certain tracts that none of the traditional priests have jurisdiction to hear Confessions or faculties to say Mass. This is a false claim, which is based on a failure of these authors to recognize the distinction between ecclesiastical laws and divine revelation, and how the former apply in a state of necessity. This error causes them to conclude falsely that no priest can lawfully say Mass; that no Bishop can lawfully consecrate another Bishop, etc. in this situation. It is not the purpose of this article to go into detail addressing this false claim, but merely to illustrate what I believe to be another clear parallel to the Machabees. In the Machabees, the resisting Israelites were attacked on the Sabbath because the allies of evil King Antiochus didn’t believe that they would fight back on the Sabbath. And, at first, the resisters did not fight back on the Sabbath because they believed it would be unlawful [read: they did not say Mass; they did not hear Confessions; they did not Consecrate Bishops, etc. because they believed it was unlawful], but after their people were all being slain, they changed their course and did fight back on the Sabbath. Father Culleton, The Reign of the Antichrist, Tan Books and Publishers, Rockford, IL., p. 139. The Jerusalem Bible, 1 Machabees chapter 1, footnote i.
 Giovanni Cubeddu, 30 Days, Issue No. 2-1994., p. 25. John E. Steinmueller, S.T.D., S.Scr.L. and Kathryn Sullivan, R.S.C.J., Ph.D., Catholic Biblical Encyclopedia New Testament, New York City, 1949. Joseph F. Wagner, Inc., p. 58. The Jerusalem Bible, Revelation 11, footnote c.
 The Jerusalem Bible., Chronological Table, p. 468. Catholic Biblical Encyclopedia New Testament, p. 487.